The Mercedes-Benz Maybach limo is a bullet-proof $1.6million limo is a luxurious vehicle designed for high profile and wealthy individuals. In it’s 6.5 meter length base, the 5.6 tonne machine combines luxury with style, comfort with class and security with presence. Mercedes-Maybach believe the car is specifically designed for high profile government members, royalty and others of similar status. 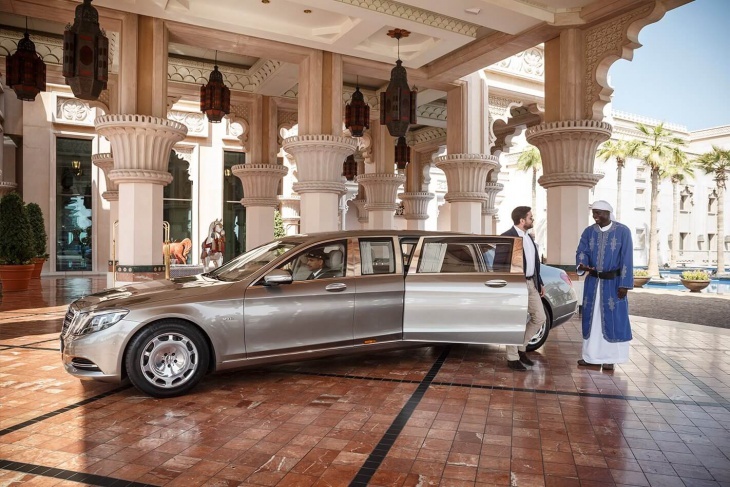 The limo is based off an already existing bullet-proof Mercedes known as the Pullman Guard S600, however the new Maybach limo has been converted into a limo. The Pullman Guard itself is based off the standard Mercedes S-Class, a luxury sedan sold frequently across the world.